It's another time to show you what I created for Mission To Create Card # 21. This week's concept is so vintage (at least to me) and as usual I had alot of fun creating cards using the concepts given by the MC DTs. You should check the rest of the DTs cards HERE! They are so inspiring! Beautiful card, I love how vintage and understated it is, gorgeous! Look at those handmade flowers, georgous georgous!!!! What can I say about this card? Hmm...let me think. 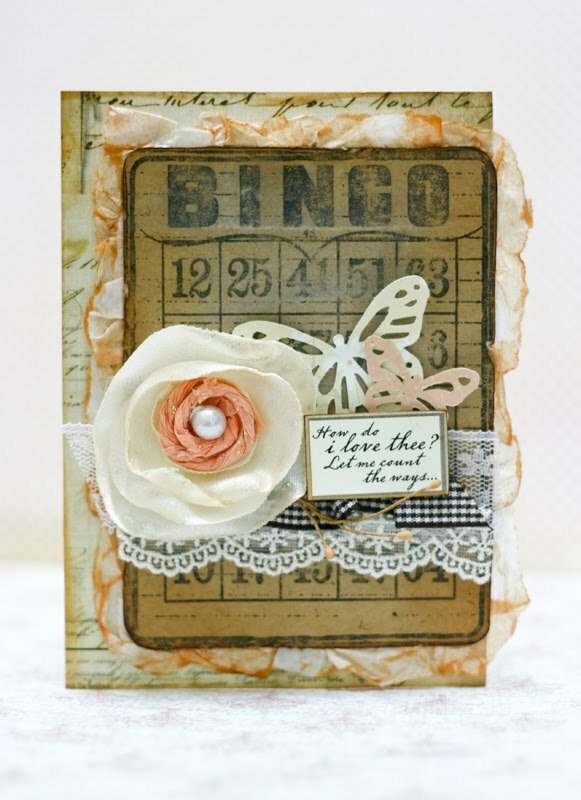 It's gorgeous, vintage, shabby, awesome, classic and I LOVE IT!! 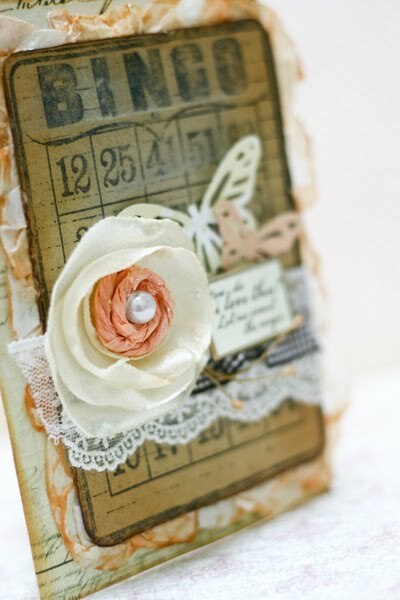 Love your handmade flower...and that delicious stamp!